This handsome project serves up lessons in traditional joinery, but it’s the eye-catching panel that makes up the main course. 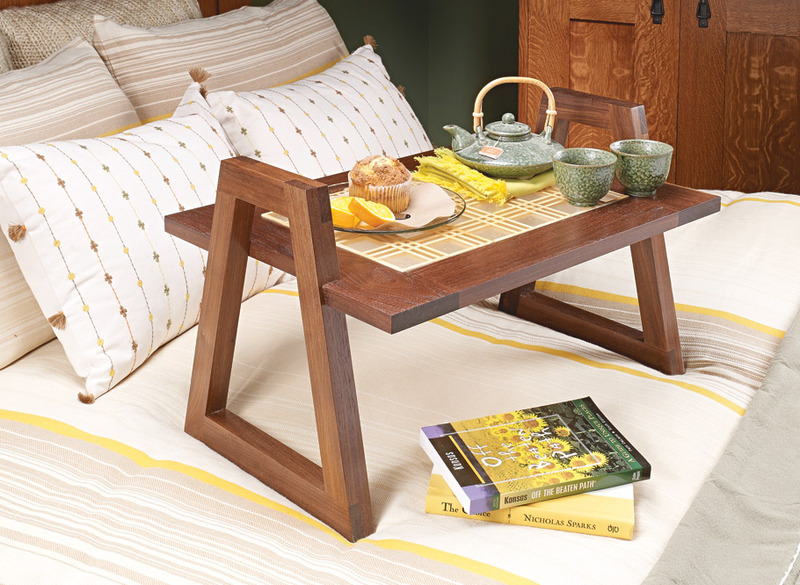 At first glance, the tray looks like it has a glass panel resting on a wood lattice. A closer examination reveals that the lattice is inside the panel. Of course, there’s a trick involved. The latticework is built up from narrow strips. The assembled gridwork is then encased in epoxy. As you’ll see, the process is pretty straightforward and the results are dramatic. 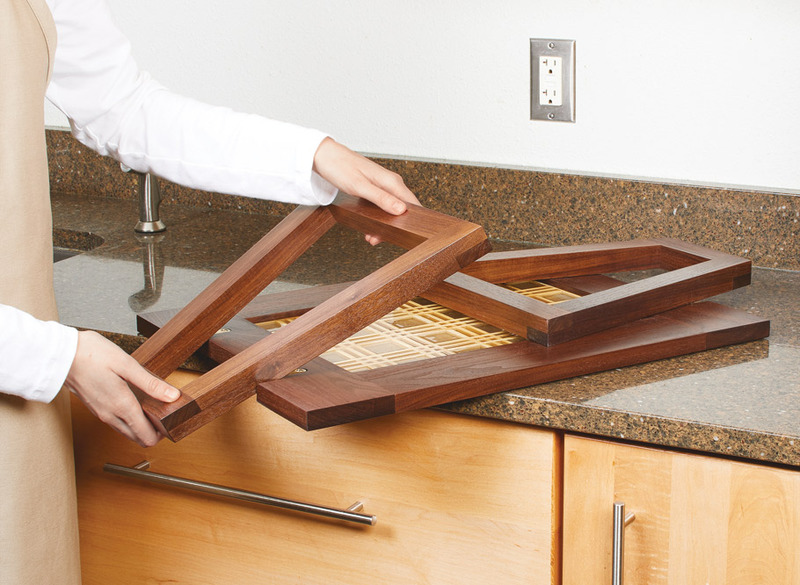 Concealed, rare-earth magnets hold the folded handles in place against the frame. 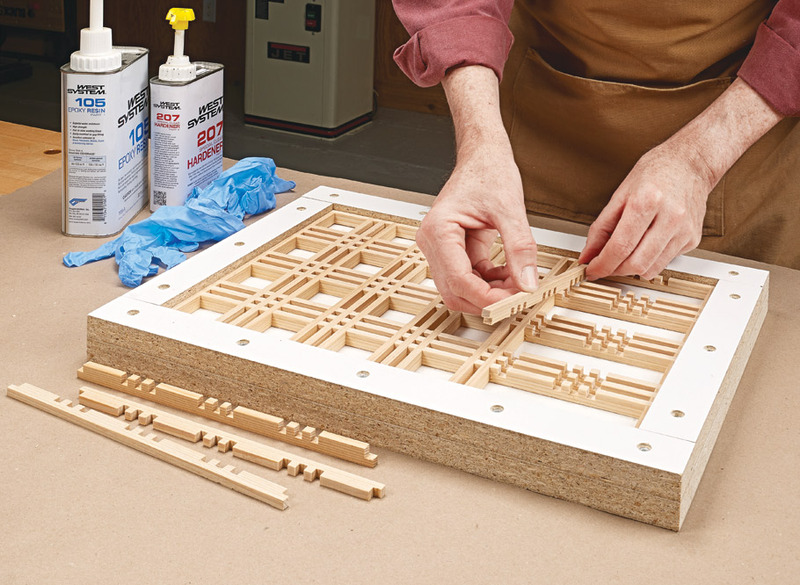 The upper frame that holds the lattice panel is the simplest part of the project. 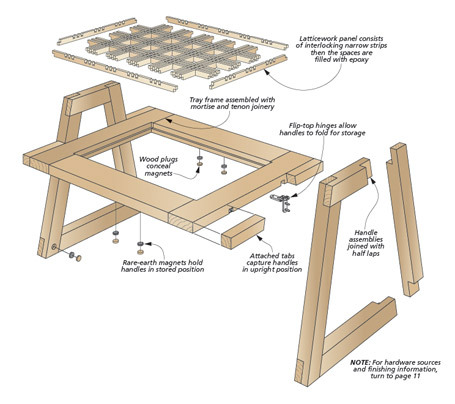 Here, you’ll get a chance to hone your mortise and tenon skills. It seems like there’s a lot going on, however, the small scale of the project means you can tackle the construction in one weekend. 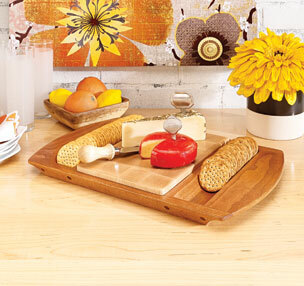 By the next weekend, you’ll be using it to serve up a special treat. 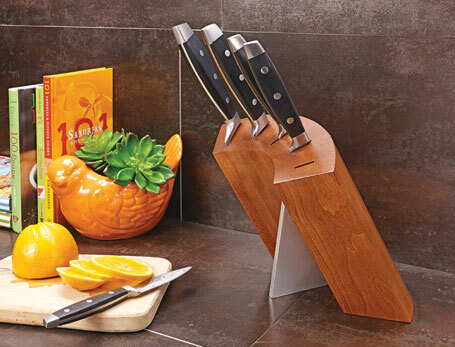 With its sleek look and modern design, this knife block will not only keep your fine cutlery safe and sharp, it will do it in style. 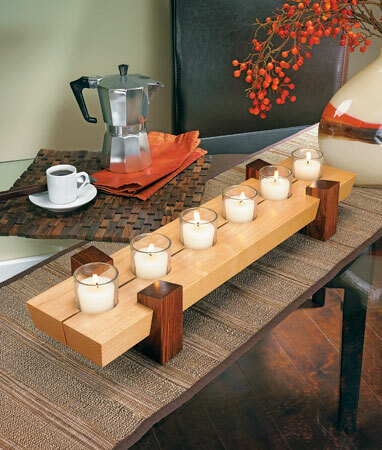 You can build this candle stand in just a few hours using pieces from the scrap bin and a few simple table saw techniques.